Well Warriors, another weekend is upon us and I have decided to do something a little different this week. I decided to mix it up with some other extreme outdoor sports. I figured that all Weekend Warriors can appreciate beautiful scenery, insane athletes, and a healthy dose of pure adrenaline. So grab your coffee, hold onto your armchair and use caution if you have high blood pressure, because these will get your blood pumping! The first video features some very talented mountain bikers flying down dirt trails, defying gravity, and risking serious bodily harm all at the same time. Enjoy! If the first video didn't get that heart rate up than this one sure will. I think that base jumping combined with these "squirrel suits" is the closest that humans have ever come to flying without using any type of motor. Pure adrenaline and purely incredible. This month, more than a year after the original landmark agreement for the highly endangered mountain caribou, the British Columbia government legalized a caribou recovery plan that protects more than 90% of the caribou's best winter habitat from logging and road building. That's more than 2.2 million hectares (5.4 million acres), an area eight times the size of North Cascades National Park, of globally unique Inland Temperate Rainforest. The victory comes following years of hard work by Conservation Northwest and our close allies, Wildsight, Forest Ethics, and others in the Mountain Caribou Project. Still needed is careful attention to conservation "IOUs" promised in the original agreement. But today, one of North America's most endangered mammals, the mountain caribou, just became a little less endangered. 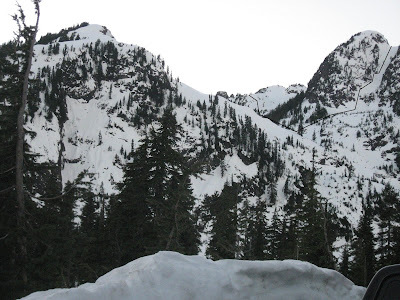 The preliminary best guess is that we'll be able to start reopening the North Cascades Highway the last week in March or the first week in April. Our Avalanche Control and Maintenance technicians traveled from the east closure point at Early Winters, west of Mazama 20 miles to Rainy Pass on snowmobiles and a snow cat this morning, assessing the conditions. They encountered overcast skies, 27 degree temperatures and no new snow. Only 4/100ths of an inch of precipitation was recorded in the last 24 hours, and most of that was rain. We expect to be able to free up the personnel and equipment we need for the reopening from Stevens Pass and some of our other facilities by late March or early April, depending on weather, equipment and manpower. They found only moderate snow depths this year. For example the snow at Washington summit is only 5-1/2 feet deep when it's usually 7 to 9 feet deep. At the same time they found more slides and they’re a different consistency - they look like lava. The slides at Liberty Bell Mtn., just east of Washington Pass are an example: The highway passes under them, and loops back to the east around Spiral Gulch. The snow is 40-feet deep and 1200-feet wide below LB 2 and 3, but it came down with such force that the same slide covered the highway on the opposite side of the gulch with snow that’s 25-feet deep and 1200 feet wide. Further east in the avalanche chutes in the Cutthroat Ridge zone,some slides were as much as 20 feet deep and 12 to 1500 feet wide. Another anomaly for this season is a 40-foot deep slide near Bridge Creek, between Rainy and Washington Passes. The avalanche crew had never seen a slide there before. The official news release with the official scheduled dates and some of the photos should be approved and posted sometime tomorrow. Lets hope that the lava-look avalanches are only a crust and won't take any longer to cut through than normal - a nice, uneventful 4 week clearing effort would be nice - we've had enough "disasters" this winter...! This weeks videos are dedicated to the epic amount of snow that has recently dumped in the Sierras. I don't know if you've heard but they were blessed with a bountiful amount of the white stuff, sending throngs of snow-starved skiers and boarders into the mountains to get their powder fix. So sit back, relax and be prepared to be transported to a winter wonderland! The first video is for all you snowboarders out there. Don't let the 5 minute length deter you from checking this one out. Hang in there and watch these guys cruise some incredible lines...trust me, it is well worth it! The second video we've got for you should make any tele-skiers mouth begin to water. So many turns....so much snow....so beautiful!!! The final video is for anyone who, like me, is stuck behind a desk all week. I've come up with a new technique to help satiate that powder hunger that always seems to come near the end of the week. First, set up a big fan by your computer. Second, lean way in towards the screen. Third, put on your ski goggles. Lastly, watch this video (full screen) and be prepared to find yourself cruisin' the pow with the Pointer Sisters blasting on your iPod. Long time AAI climber, Art Huseonica, was recently the subject of a Toastmaster's article written by Julie Bawden-Davis. Failure to communicate is not an option when you are dangling on a rope, tied to a partner at 18,000 above sea level. Toastmaster Art Huseonica enjoys the many parallels between his worldwide climbing adventures and his Toastmasters experience. Recently back from a speed ascent of Washington’s Mt. Rainer with accomplished American climber Ed Viesturs, Huseonica says leadership, preparation and precise communication are essential for survival both in front of an audience and on top of a mountain. Art Huseonica’s idea of fun takes his breath away – literally. When he’s where he wants to be, this Toastmaster is climbing in thin air at 17,000 feet, and he couldn’t be happier. Huseonica, a member of the Kritikos club in Odenton, Maryland, has been involved in extreme sports for many years, including skydiving and hot-air ballooning, but he didn’t begin serious mountaineering until four years ago. Since then, he has reached 17,200 feet on Alaska’s Mount McKinley (also known as Denali – “The Great One”), turning back from its 20,320-foot summit because his guide was ill; climbed the Andes in South America twice, and scaled Mount Rainier four times. When Huseonica joined Toastmasters in January 2008, he did so to improve his presentation skills, but he soon discovered significant parallels between the skills needed in his club and climbing. “Good communication is critical with mountain climbing,” says Huseonica, who serves as vice president public relations for his club. 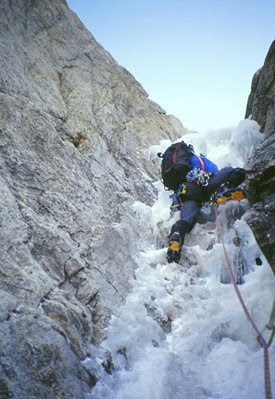 “When faced with extreme physical situations, it’s important that you communicate precisely and concisely and are very articulate so as not to waste your breath.” He has seen other climbers suffer from conditions such as altitude sickness because of reduced air pressure and oxygen. This can affect the brain and lungs and even lead to death, so it’s important that climbers pay attention to one another’s body language. Huesonica notes that many aspects of the Toastmasters Promise also apply to mountain climbing, and he has done a speech on the subject. Fellow club member Anita Hoffman enjoys Huseonica’s speeches about his climbing expeditions. “He’s a very good speaker who is comfortable with his audience, and he has thrilling subject matter that keeps us all on the edge of our seats,” she says. Huseonica’s wife, Karen, feels that her husband’s involvement with Toastmasters has positively affected his climbing. “His membership has reinforced his confidence and self-assurance, making him even more careful and prepared when he climbs,” she says. Known as “Base-camp Karen” by everyone who climbs with Huseonica, she talks with her husband via satellite telephone during his adventures and then e-mails her reports to friends and family. Huseonica’s climbing mentor is Ed Viesturs, America’s leading high-altitude mountaineer, and the two men have twice scaled Mount Rainier together. On their most recent climb together, on Mount Rainier, they did a speed ascent in order to prevent altitude sickness. During that climb, Viesturs took the picture of Huseonica holding the Kritikos Toastmasters logo. After leaving home, Huseonica served in the U.S. Navy for 20 years. Adventure comes naturally to him; he spent a lot of time at sea and in isolated shore stations, and was trained to fly aircraft and work on submarines. Since retiring, he has worked in higher education administration and is currently a Web consultant and part-time teacher for the University of Maryland University College and warehouse manager for a school supply company. He also regularly uses his Toastmasters training to speak at local organizations and recently published his club’s Web site. Julie Bawden Davis is a freelance writer based in Southern California and longtime contributor to the Toastmaster magazine. Approximately six years ago, I was guiding in Red Rock Canyon just outside of Las Vegas when I heard about it. There was going to be a two-day climbing festival in Vegas...and it wasn't going to be just any climbing festival, it was going to be massive. At the time I honestly didn't want anything to do with a massive climbing festival. Thousands of climbers descending on Red Rock Canyon at the same time like a hoard of locust was the last thing that I wanted for the crag in my backyard. So I ignored the festival...which was really too bad. I didn't know what I was missing. 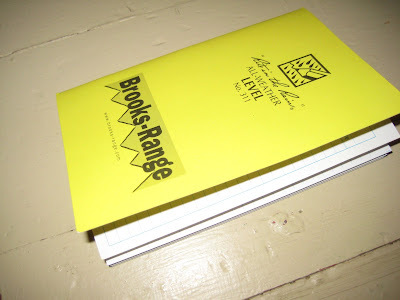 The following year, I covered the Red Rock Rendezvous for Climbing magazine. I was provided the opportunity to attend the event for free. And what I found was an utterly phenomenal climber's festival. 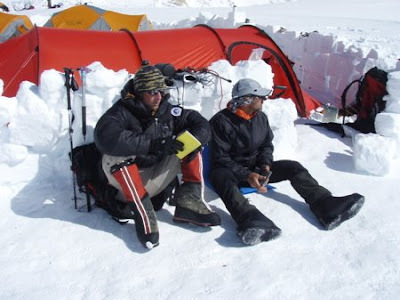 They provided a number of climbing clinics, slide shows, and seminars for a nominal price. Indeed, they also included food, beer and camping in the price. They did this for climbers of all ability levels and people attended from all over the world. I was somewhat amazed by what they were able to do for the climbers that attended. And I was even more amazed by the fact that they gave away a large portion of the money that they made to the American Alpine Club and to the Access Fund while also supporting the American Safe Climbing Association and the Las Vegas Climber's Liaison Council. Humaneering is a popular event at the festival. Individuals must boulder on people. It was during this journalistic excursion in 2005 that I met Paul Fish, the president of Mountain Gear. 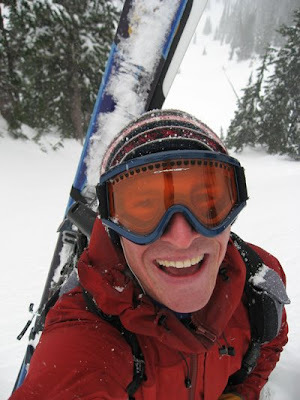 Mountain Gear is the primary sponsor of the festival and Paul is the event's number one cheerleader. Over the years, he and Mountain Gear have jumped through hoop after hoop in order to make this the premiere climbing event of the year. Paul wanted to expand the event from two-days of clinics to three days. He wanted to develop a Friday event that focused totally on beginning level climbers. And he wanted to do this with a highly respected guide service that held a commercial use permit for Red Rock Canyon. In other words, he wanted to work with us. The dyno competition is often a crowd pleaser. 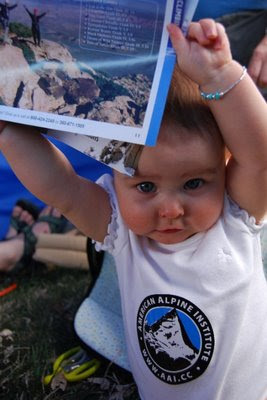 In 2006, the American Alpine Institute joined Mountain Gear and a number of other companies and non-profit organizations for the Third Annual Red Rock Rendezvous. We ran the Friday beginner clinic and placed guides in numerous half-day climbing clinics on Saturday and Sunday as well. The festival was a massive success...and our guides had an absolute blast. The festival takes place in two locations. The climbing clinics take place inside the Red Rock Canyon National Conservation Area, while the actual event takes place at Spring Mountain Ranch, a State Park within the boundaries of the Conservation Area. Spring Mountain Ranch features a stage, grassy fields, and a historic ranch house that was owned by Howard Hughs. The festival hasn't always been perfect. 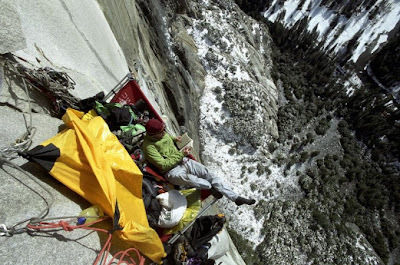 Last year, a group of climbers got a bit unruly. Somebody broke into the ranch house and left a Red Rock Rendezvous water bottle in there. Another group of climbers built a campfire in the parking lot and refused to put it out when asked by rangers to do so. 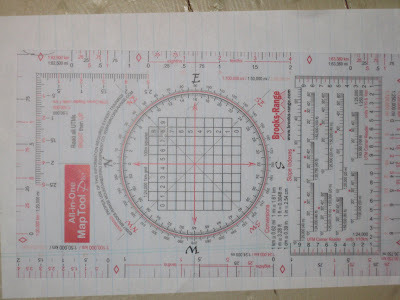 The combination of these things have caused Mountain Gear personnel and Spring Mountain Ranch rangers to tighten the reigns on the festival. They are limiting the number of participants this year, something that hasn't happened in the past. Unfortunately, these incidents have put the entire Rendezvous at risk. We are all hopeful that everybody will be on their best behavior at the 2009 Rendezvous. We will be offering private guiding before and after the event, as well as AMGA Single Pitch Instructor courses and Learn to Lead courses. In addition to that, we are planning a rock oriented guide training and lots of personal climbing. Many of our guides have climbing projects that they want to complete during their trip to Vegas this year. To read more about the Rendezvous, to see pictures of previous events and to register for the Rendezvous, please check out their homepage. We are very excited about this year's event and look forward to more fun in the desert sun! Weekend Warrior -- Videos to Tickle Your Funny Bone! 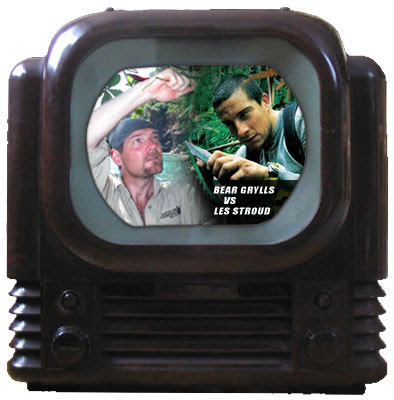 Earlier this week, we discussed two very popular survival shows on the Discovery Channel. Man vs. Wild and Survivorman have both become extraordinarily popular amongst outdoor adventurers and backcountry travelers. In my discussion of the two television shows, I pointed out how bad I thought Man vs. Wild was in relation to Survivorman. 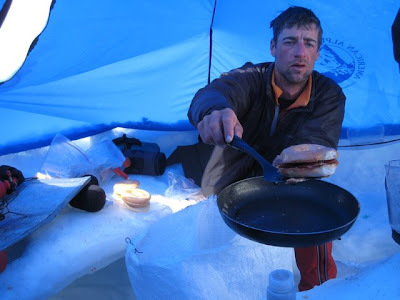 My premise was essentially that the host of the show would do just about anything that was sensational and as such couldn't be trusted as an expert on outdoor survival techniques. Now there's a third show that can't be trusted. But this one is a spoof of the other two. Sam Seder, a comedian from Air America, takes on the wilderness in his youtube spoof, Survival Sam. Teaching avalanche courses and going to school every morning this winter has recently derailed me of getting any personal skiing done this season. With my first day off in six weeks, I was really excited to finally make some turns of my own. Last Friday, I set my sights on stretching my legs, seeing some 'new-to-me' places to tour around Mt. Herman (in the Mt. Baker backcountry) and skiing the ever-looming steep skiing objective that stares me down every time I drive up to Heather Meadows - the Stone Man Couloir. 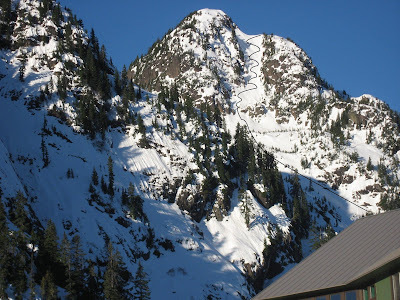 A sunny view of the couloir from the Heather Meadows Lodge at Mt. Baker. 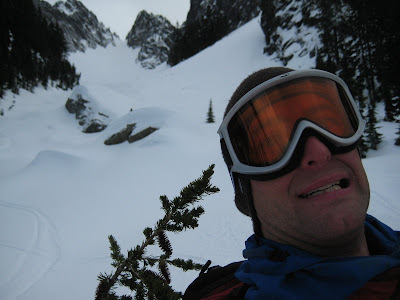 Winter thrill seekers too often dismiss the potential for fun to be had in the backcountry anytime there's less than several feet of new snow. I'm all for skiing the steep and deep when it's around, but I'm also keen on being able to tour longer distances without breaking trail for hours. Last week, a few inches of fresh provided just the right balance between good skiing and touring conditions, during a time of relatively safe avalanche hazard. We settled on a tour plan that would traverse over the shoulder of Mt. Herman and allow us to ski downhill to the base of the couloir. The traverse over Herman to the Stone Man Couloir is outlined in black. Justin's wife, Zephyr, with her skis on her back. Visibility was sparse early in the morning. Finding our way up to the first high col on Mt. Herman took a while with the coming and going white-out conditions. It was nice when it cleared enough for me to put away the GPS as we started booting up the final few feet, just before our first run of the of the day. We ripped skins off our skis at the 5800' col on Mt. Herman and enjoyed a 500 foot run to the base of the Stone Man. Justin and Zephyr's route through the Stone Man Couloir is drawn in black. We booted up the 800', 45+ degree Stone Man couloir, arriving at its top in windy conditions and zero visibility all around. Conditions in the couloir truly involved survival skiing. The chute is so steep it had sloughed off most of the previous week's new snow. What snow remained peeled away beneath my ski tips exposing an icy crust ahead of each successive turn. Skiing out the left exit around the cliffs at the bottom involved negotiating the chute's steepest pitch which neared 50 degrees. 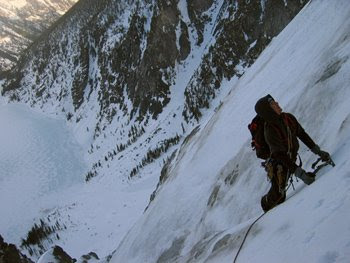 To finish the tour, we continued traversing north from the base of the Stone Man couloir. Along the way we found some of the best snow of the entire day as we skied through the trees completing the circuit back to Heather Meadows and the Mt. Baker Ski Area. All in all, the tour involved 3000' of elevation gain and loss we skied a distance of about 4 miles. Until October, I never had cable television. Climbers I'd worked with over the years told me about Survivorman and about Man vs. Wild on the Discovery Channel, but I never had the opportunity to see these shows. For those of you who are as clueless as I was, Survivorman follows a survival expert named Les Stroud on his exploits. Stroud brings his own camera equipment and records himself making survival decisions. In Man vs. Wild, a former officer in the British Special Forces named Bear Grylls is followed by a camera crew as he "survives" in the wilderness. At the beginning of October I finally broke down and got basic cable. And with basic cable came my opinion about these two shows. In short, Survivorman is both entertaining and full of useful survival techniques. Man vs. Wild is completely and utterly ludicrous. Les Stroud knows what he's doing. He masterfully builds shelters, hunts, forages, and uses good mountain sense. Bear Grylls does the most sensational things -- many of which would get you killed in a real survival situation -- in order to raise the ratings of his innane show. There are a few great examples of Grylls and his lack of mountain sense. In one show he swings on a vine over a sink hole with no idea whether or not the vine will hold. In another he says it's minus twenty degrees as he jumps in the water...clearly it wasn't or he would have died. And in another he makes a toboggan to slide down a steep hill with cliffs on either side when he could have just walked. This is also the guy who eats snakes, frogs and a variety of other animals without killing or cooking them. It's all about sensationalism. It appears that Bear actually enjoys a little luxury when he's supposed to be in the wild. Numerous reports have come out about this so-called outdoor hardman, which indicate that he is not quite so hard. Indeed, there are a list of grievances against the television star. That which tops the list is the use of a hotel. Yep, his highly honed survival instincts have allegedly brought him to a shower and a warm bed on more than one occasion when it appears to the television audience that he is spending the night in the wilderness. Among the Grylls grievances is an episode supposedly set on a deserted island (actually Hawaii) that shows him building a raft, which was actually constructed and then disassembled by show consultants so that the host could easily put it together. And though Grylls claims to be a horse wrangler, another charge maintains that the wild horses Grylls happened upon in the Sierra Nevada were not so wild, and were in fact from a trekking station. It's clear that Stroud doesn't have the ability to get to a hotel or a motel to take a break. Instead he does what he says he does; he uses a variety of time-tested survival techniques to stay alive. This guy provides valuable information for the wilderness traveler that could potentially be used in a a number of environments. Following is a great example that some fan of Survivorman posted on the internet about the difference between the two shows. Note the sensationalism of Man vs. Wild. And also note that Bear is an idiot. Stroud and Grylls have both attained lucrative advertising contracts. These alone provide some insight into who actually respects these individuals. SPOT locators have hired Stroud to be their spokesman and Trail Mix Cereal hired Grylls be theirs for a ludicrous commercial. 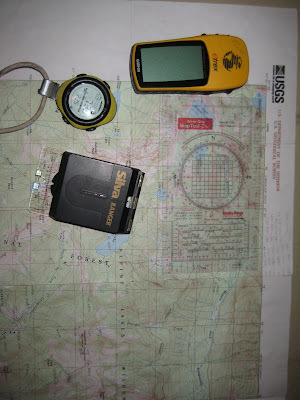 SPOT is somewhat respected by outdoors people for the creation of their backcountry emergency locators. Trail Mix Cereal is cereal. I don't think anybody really respects cereal. Ultimately SPOT vs. the cereal is a great metaphor for the substance of each show's quality. Stroud knows what he's doing and the techniques he teaches are educational and interesting. Grylls is a complete doof who doesn't really do anything that is worth anything. As many who know the Institute well may have heard, I (one Coley Gentzel) am leaving my post here as Program Coordinator, Guide, water and whipping boy, life counselor, physical fitness coach, data entry guy, cook, sled-dragger, copy machine fixer, gear sorter, and confidant. As the generic, lifeless, and impersonal auto-responder on my email account currently says, the last 9 seasons here at AAI have been the most meaningful of my life, and it is with many mixed feelings that I have come to the decision that my future path and full time employment with AAI would not continue along the same course. First, before we get too far into the mushy gooshy stuff, thanks to all that have given me the opportunity to serve them in the office and the field, to those that I have had the chance to work along side and work for, to those that I have had the opportunity to learn from and to teach, and most of all for the memories and life changing experiences that have gone hand in hand with all of these interactions. What initially attracted me to AAI, above and beyond getting to go climbing a lot, was people. Not to go so far as to say that I knew may folks here when I started, I most certainly didn't, but my main motivation in leaving the corporate world for a mountain based lifestyle was the deep and inescapable desire to connect with like-minded individuals with the same passions, interests, values, and motivations that I was just starting to grow into. People are exactly what has given this job, this place, and our cause the meaning that it has. If I were to sit down and make a list of all of all of your, well let's just say you wouldn't want the read through all of the pages. So, again, thank you. The last few days have been strange for me. As you might imagine, after a handful of years in a give a given place, doing a certain thing, you start to get used to the things around you and develop a certain comfort with the way things are. Part of this leaving process has included cleaning out my desk area here in the offices of AAI. Something that as I carried out, I realized, I had never really done before. I am not just talking about messes here, there were more than a few of those tucked away in the corners, but it was a fun walk back through time to scroll through old post cards, reports, photos, letters from past clients, guides, friends, and get to revisit some of my early days here. I will try and share a few of these, recently relived memories with you on my way out, and in doing so, hope that you all have the chance to continue making memories in the mountains. Many of my favorite memories from my time here at AAI have to do with firsts. One of my favorite things in climbing, and I think one of the things the draws so many to the pursuit, is the opportunity to see new and beautiful places. 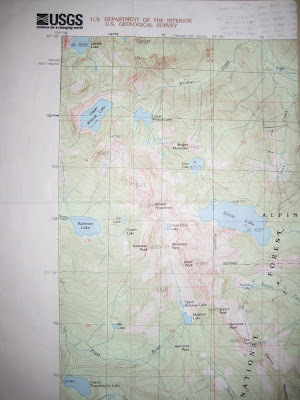 My first "real" climbing trip was the the Enchantment Lakes area with a few co-workers. Andy Bourne, long time Program Coordinator and currently guide for AAI, myself, and a few other folks had planned a week off of work during the busy time at AAI. When I first started, one of the main concerns that the current administration had was that Andy and I would try to take too much time off at the same time. Of course we both assured them this would not be the case, and no more than a month later we were off on this trip. Somehow it worked out. Our goal on this trip was to climb the Serpentine Arete on Dragontail Peak and the West Ridge of Prusik Peak. Up to that point in our collective climbing careers, we hadn't done much more than a few multi-pitch cragging routes,and so the prospect of a 2500-foot route up a big face with notoriously loose rock was fairly daunting. I won't elaborate on the details of the climb, but instead say that getting back to camp just as the sunset was lighting up the face in alpenglow, and looking back up at the route we had just completed was one of the best feelings I could remember having. The end of that day was particularly unfortunate for one of the team members who had left his boots at the base of the climb and had to walk down the snowy Asgaard Pass route in his rock shoes..cough, cough...Andy, but I won't mention his name. 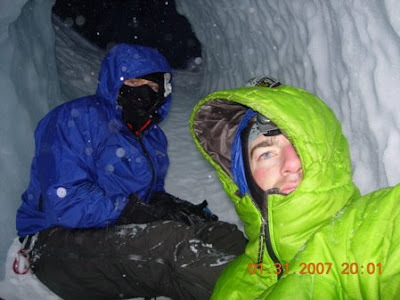 Hiding from the elements in an ice cave on Mount Baker with Andrew Selby. Next, a picture of a fellow named Mike Layton appeared in one of the many piles on my desk. The picture was of Mike's face, barely visible through a tangle of greenery, buskwacking deep in the heart of the North Cascades. Mike and I had gone in to climb the Direct North Buttress of Bear Mountain, one of the few long and relatively high quality grade V rock routes in the Cascades. AAI guide Alan Kearney had put the route up back in the 70's and until the last handful of years, the route hadn't seen many ascents really at all. That summer was perhaps the best climbing summer of my life. 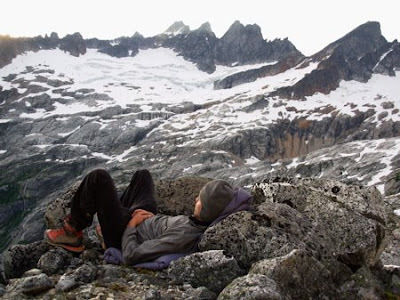 I was fortunate to somehow scrape together enough change to take trips to the Bugaboos, the Sierra, and climb nearly every weekend in the Cascades. 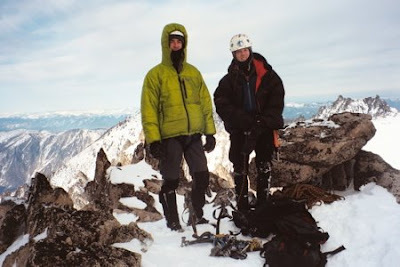 Erik Johnson, AAI guide, and I completed the Northeast Buttress of Slesse Mountain and the Beckey-Chounaird route on South Howser Tower that summer as well, and all of these climbs still rank among my most memorable. Let me back up a bit. Before I started at AAI, I had been growing gradually more unsatisfied with life in the city and had been gobbling up up every piece of climbing literature that I could get my hands on to help me while away the time and dream of far off places. Fairly late in that process, not too long before I finally quite my job and moved to Bellingham to work for AAI, I remember reading a particularly moving article about two climbers who had set off to climb the Moonflower Buttress on Mount Hunter's North Face in the Alaska Range. Some 4,000-feet up the route, the author's climbing partner was struck and killed by a snow mushroom that collapsed on him. 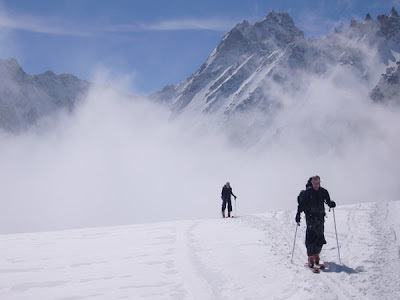 I remember reading the account of the author's epic descent, cold, alone, running out of gear, and having just lost his partner and dear friend. I don't know what it was about that article that really grabbed me. Perhaps the tone, perhaps the experience itself, perhaps because it was the first time that I had really stopped to ponder the consequences that can be part of the alpine game, how alone you can be high in the hills and far above the ground. 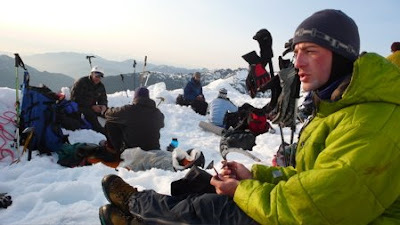 AAI guides ascent of the North Ridge of Mount Baker. So it was at this company party that I first got to meet the author of this article, shake his hand for the first time, and come to the realization that now, here at AAI, I was in the company of greatness. The people that have been a part of this company, over the years, have shaped the modern guiding and climbing world, and to have been a small part of that has meant the world to me. Happy climbing and I hope to see you in the hills. Coley Gentzel started at AAI in the year 2000. Over the years he has become a fixture at this company. He has worked as a registrar, a guide manager, a program coordinator, and a guide. Perhaps, most importantly, he has been a friend to all of us here and to countless climbers on countless trips. 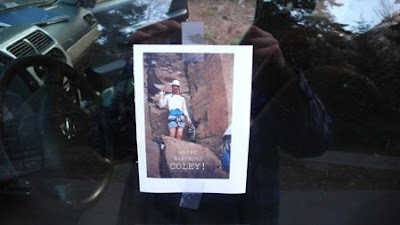 Coley was responsible for updating our Alaska programs. He tirelessly worked to make our Denali trips and our Alaska Range programs the best in the business. 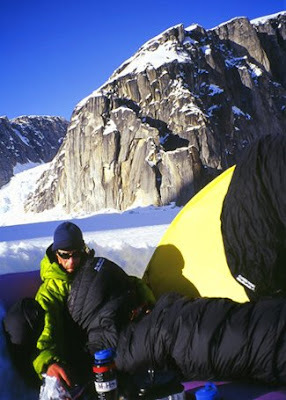 He did this by guiding several trips in the area as well as by making significant personal ascents in the Alaska Range. Dynafit products have some small limitations. These are really limited to only a few problems including the overall release mechanism which can be somewhat trigger happy if you are a super aggressive cliff jumper and bump skier. The binding can also not provide enough power for a skier to handle a super fat ski. 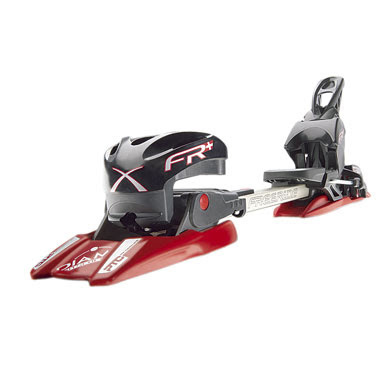 So if you are looking for a binding and boot combination for super fat, big mountain heli-skis you might look elsewhere. In terms of tourability this is the right choice for the touring-minded backcountry skier. 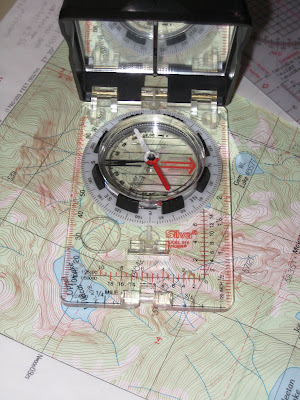 For more information on Dynafit bindings online check out wildsnow.com or give our new backcountry skiing courses a try!